Doing your own auto repair work can save you money, but it can also be dirty, dangerous work. The following tips are provided to help you avoid the dangers of auto repair so you don't injure yourself or someone else. Most of these tips are common sense warnings, but there may be some things you are not aware of that could pose a potential danger. First and foremost, DO NOT attempt repairs that are beyond your ability. If you feel unsure about a repair, you should seek out a competent professional to do the work for you. Better to pay someone who knows what they are doing than to attempt to fix it yourself and screw it up. Many systems on vehicles today are very complex. Repairs often require considerable skill and expertise, not to mention special tools and equipment. A simple mistake could ruin sensitive (and expensive!) electronic components. So don't tackle jobs that are beyond your abilities. Know your physical limits. Do NOT attempt repairs yourself if you are not physically able to do the work. Replacing certain components may require heavy lifting (changing or removing tires, pulling a cylinder head, etc. ), crawling under the vehicle, laying or working in an awkward position, reaching, bending, twisting, pulling, tugging, straining, jerking and motions you may not be accustomed to making. Use common sense. If you have a bad back, joint problems or lack the physical strength to do something, then DIY auto repair is not for you. Hire someone to do it for you. Be focused. DO NOT attempt to undertake any maintenance or repair work on your vehicle if you are tired, not feeling well, tipsy, intoxicated, on medication or otherwise impaired. Exhaustion, illness, alcoholic beverages and even some medications may affect your judgment and perception creating a potential for injury or error. Save the beer for after the job has been completed. Do NOT smoke when working on any fuel related components (fuel filter, carburetor, fuel injectors, fuel pump, fuel tank or fuel lines). Better yet, do NOT smoke at all. It is bad for your health! Have a fire extinguisher nearby just in case. The fire extinguisher should have a "B" (liquids & grease fires) and "C" (electrical fires) rating. Do NOT smoke or get any sparks near the battery. 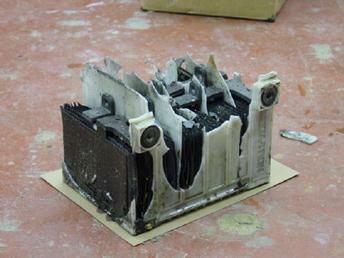 Batteries contain hydrogen gas which is very explosive. 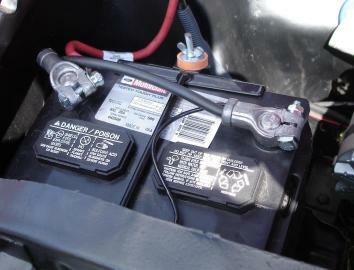 If jump starting a battery, make the final jumper connection to the engine or chassis. NEVER crawl under an improperly supported vehicle. In other words, never trust a jack alone to hold the vehicle up. Always use a pair of support stands positioned underneath the vehicle to keep it from falling on you. 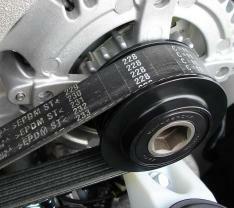 Make sure the weight ratings on the support stands is more than adequate to hold up the vehicle's weight, too. Do not use blocks of wood, boxes, wheels or bricks for supports because these may slip or collapse and allow the vehicle to fall. For more information on how to safely lift and support your vehicle, Click Here. Always disconnect one of the battery cables or remove power fuses for a circuit when doing electrical repair work (as when replacing a starter, installing a radio, fixing a broken switch or wiring, etc.). This will prevent accidental shorts that could damage the wiring or start a fire. 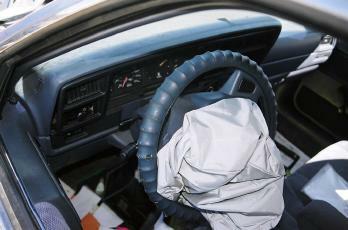 This is also a very important precaution to heed when working under the dash of any vehicle equipped with an air bag. Crossing the wrong wires might set off the air bag (which could cause injury and is very expensive to replace). Watch Out for the Air Bags!. If working on the steering column or under the instrument panel or dash, always disconnect the battery and wait at least 15 minutes before proceeding with any disassembly or wiring tests. Crossing, jumping or shorting wires in the air bag circuit could cause the air bag(s) to accidentally deploy and possibly injure you. 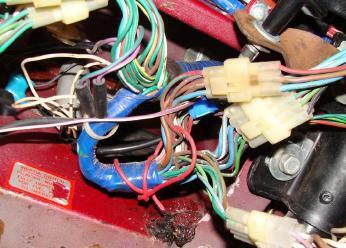 Air Bag wiring is often color-coded YELLOW. Never disconnect or unplug any electrical connector while the engine is running or the key is in the "on" position (unless you are specifically instructed to do so as part of a diagnostic procedure in a shop manual). Unplugging connectors while current is flowing through them creates a voltage spike that can damage sensitive and expensive electronic components. Do not wear loose clothing, jewelry, rings, neckties, scarves or bulky gloves when working on your vehicle. If you have long hair, tie it back or cover it. These items may become entangled in pulleys or moving parts causing serious injury, dismemberment or death! Watch out for moving parts such as drive belts, pulleys, fan and other moving parts when working under the hood if the engine is running. DO NOT lean over a mechanical cooling fan while revving the engine. Watch out for hot stuff. If the engine is running or the vehicle has been driven within the past half hour or so, the engine, radiator, exhaust manifolds, catalytic converter, muffler and pipes will be hot. NEVER open the radiator cap on a hot engine. 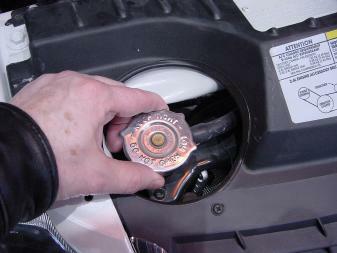 Always allow the engine to cool for at least an hour before attempting to open the cap. Even then, use extreme caution. Place a rag over the cap, then loosen it slowly to the first detent or stop. At this point any residual pressure and steam should be released. Wait until all pressure has escaped before removing the cap the rest of the way. Avoid electrical shocks when working around the ignition system. 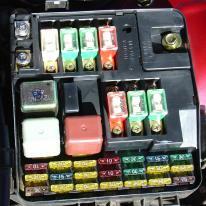 The normal battery voltage in passenger car and light truck electrical systems is only 12 volts and will not harm you. But the ignition system bumps the primary voltage up to 25,000 to 40,000 volts which can give you a nasty shock if you touch a spark plug wire, the ignition coil or distributor cap while the engine is running. On hybrid vehicles, the hybrid battery may contain up to 300 or more volts, which can kill or injure you. Do not touch any ORANGE high voltage cables unless the hybrid battery has first been disconnected. Also, wear Class 0 rated rubber gloves that can withstand up to 1000 volts. Wear eye protection when working under the vehicle (to keep dirt and debris from falling into your eyes), when pounding or grinding on anything (to keep metal chips out of your eyes), when jump starting the battery (to keep acid out of your eyes should the battery explode), when working on air conditioning components (to keep refrigerant out of your eyes), and/or when doing anything that might pose a risk to your sight. Wear ear protection when using loud pneumatic tools or when hammering, pounding, grinding, sawing, drilling, etc. Prolonged exposure to high levels of noise can cause permanent hearing loss. Wear breathing protection (an OSHA-approved mask, not just a cheap fiber dust mask) when spray painting or using other chemicals that give off aromatic hydrocarbons. A dust mask is recommended when grinding, sanding or sand blasting. 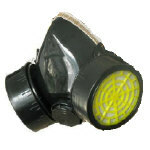 A dust mask will NOT provide any protection against paint or chemical fumes. DO NOT use an air hose to blow brake dust off brake components. Brake dust may contain asbestos or other fibers that can cause lung disease if inhaled. Use a liquid cleaner to remove brake dust. When using aerosol products that contain VOCs or solvents (spray paint, throttle cleaner, brake cleaner, etc. ), use in a well-ventilated area, avoid breathing the fumes and wear proper breathing protection. The best place to use such products is outdoors, or in a large garage with the door open, or with a ventilation fan that exchanges the dirty inside air for fresh outside air. Do not open any brake lines or replace any components in a vehicle equipped with an "integral" ABS system (one where the master cylinder is combined with the ABS modulator, pump and pressure accumulator) without first depressurizing the system. This can usually be done by depressing the brake pedal 24 to 40 times while the key is off. 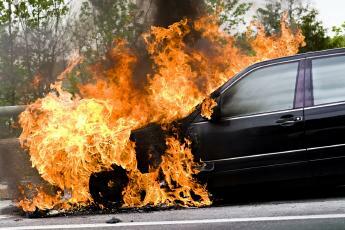 Use caution when opening any fuel lines on a fuel injected vehicle. The pressure in some systems may be as high as 80 to 90 psi when the engine is running. So do not open any fuel line while the engine is running unless your fire insurance and life insurance are both paid up. Residual fuel pressure can remain in the lines for many hours after the engine has been shut off. To minimize fuel spray, wrap a rag around the hose or line before loosening it, or relieve pressure in the line using a procedure approved by the vehicle manufacturer (refer to a shop manual for details). WARNING: On diesel engines, the fuel pressure inside the fuel lines between the injection pump and fuel injectors is extremely high when the engine is running (500 to 5000 psi or higher depending on engine speed and type of injection system!). Never start a diesel engine with a fuel line or injector disconnected. Minimize distractions while working on your vehicle. This includes small children, pets, friends, spouses, in-laws or others who may distract you from your work. This will go a long ways towards reducing the risk of injury and making a mistake. Tell someone if you are going to be working on your vehicle outdoors or if you are going to be working underneath your vehicle. Hopefully, they will know how to dial 911 should the need arise. Avoid shock hazards with extension cords & electrical tools. If you are working outdoors and using power tools, make sure the extension cord you are using is rated for outdoor use, that the extension cord and tools are properly grounded (a "ground fault interrupt" outlet is recommended), and that the cord has the proper amp rating for the tools you are using. DO NOT use an adapter plug to convert a three-prong grounded plug into a two prong plug.